Your bank is offering an awesome new cash-back card with a signup bonus; you take out the retail credit card to get the additional 20% off. All of a sudden, you have a wallet puffed up with plastic; not to mention your auto loans and student debt payments. Getting caught up in the carousel of multiple credit lines is a hassle, for sure. But it can spell big trouble financially, especially if your credit score isn’t so hot in the first place. When you’re juggling multitudes of bills, it’s much easier to fall behind or submit a late payment, or worse, forget to pay one entirely. 1 How does debt consolidation work? One way out of this money mess: debt consolidation, or the practice of taking out one larger loan to pay off several smaller ones. That way, you only have one monthly payment to worry about — and you might even end up saving a few bucks in interest. Let’s say, for instance, that you have five credit lines you’re actively repaying: three credit cards, one student loan, and an auto payment. All of these accounts are for different totals, of course, and may also have different repayment timing. The credit cards are due on the 15th while the student loans are auto-drafted on the 22nd, for instance, and the auto payment comes around on the 1st. This can already create confusion and make it really easy to accidentally miss a payment (or find yourself desperately moving money around between your accounts to make everything work). But along with just being a logistical hassle, having that many credit lines can be a serious drain when it comes to paying interest. Credit cards, especially, sometimes have insanely high interest rates — frequently at or over 20% APR. If you’re only paying the minimum each month, you’re actually spending a whole lot more than the sticker value for those items you put on credit. That’s doubly true when you’re repaying not just one credit card, but two. If each one levies an interest rate higher than 20%, it’s much harder to actually get ahead of your monthly payments because a significant amount of the money you’re putting toward the project is going to interest. Which is why debt consolidation is such a useful tool. Instead of paying off five accounts, you’ll take out one large loan, use it to pay off all those lines, and then pay only that debt going forward. And while the interest rate may still be significant, it often still works out to a lower overall total — and either way, it definitely makes your life a whole lot simpler. The specifics of your loan will depend on your creditworthiness at the time of your application. With that said, the following companies offer some of the best loans for those with poor credit, which can be used for consolidation by paying off multiple credit lines. Using a simple three-step process and proprietary technology, PersonalLoans.com connects you with multiple potential lenders with a single application process, giving you the best opportunity for finding a financial product that works for you. Once your application has been submitted, approved lenders will provide the specific terms available given your creditworthiness and needs. OneMain offers personal loans with fixed rates and repayments and no prepayment fees. You can receive your funds via written check or direct deposit, and depending on your application, you may even be able to get the money the same day. Your monthly repayment amount will vary depending on the exact terms you agree to, but you can use OneMain’s personal loan calculator to make an estimate. LendingClub makes it easy to take control of your finances with a personal loan. Interest rates start as low as 6.95%. You can use the debt calculator to learn how much you stand to save by using this tactic. Best of all, applying won’t affect your credit score, no matter the outcome of the application! You will, however, be assessed a one-time origination fee of 1-6%, which is automatically deducted from your loan total. As its name suggests, BadCreditLoans caters specifically to clients with poor credit, matching you with lenders who can provide the relief you need despite your existing score. They also offer a suite of resources designed to help you get your credit back on track from the ground up, including guidelines on scam-spotting and detailed information about different types of credit lines. An online lender offering personal loans up to a hefty $50,000, you can get your decision Upgrade in just seconds — and your application won’t have a negative impact on your credit score. The money will be automatically deposited into your bank account via ACH transfer within one day of clearing necessary verifications. Obviously, taking out any loan is easier when you have good credit. But there are debt consolidation loans out there for those whose credit is poor — and taking this route may actually help you improve your score in the long run. When you only have one repayment to manage each month, it’s a lot easier to keep track of, which can translate to payments on time and the ability to pay more each time than the minimum. 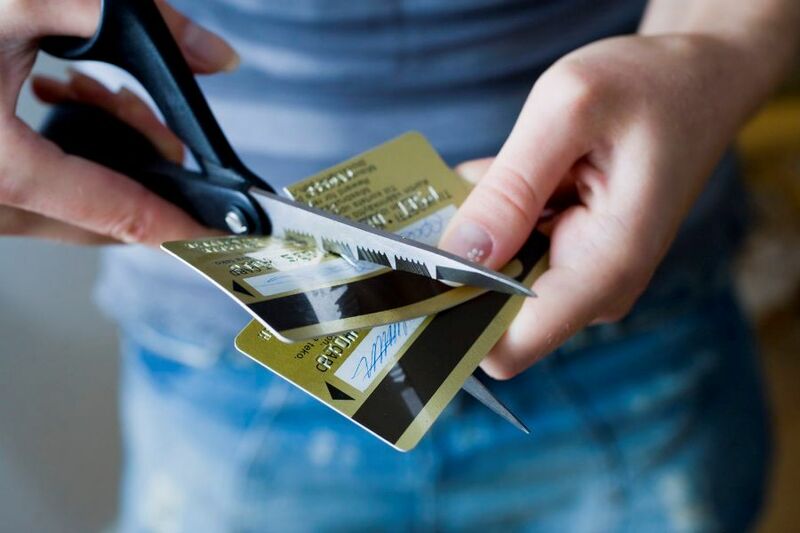 These days, most of us have multiple credit lines open, including high-interest, unsecured debt like retail credit card debt. Although these products seem to provide financial relief in the short term, over time, they just add to a sticky situation. You fall further and further behind, dishing out tons of cash to keep up with all the interest. With one loan, you may find you have more wiggle room to make larger payments. And it’ll certainly be easier to keep track of how much you owe and when those payments are due. The more you dial down your credit card debt and have on-time payments reported to the bureaus, the better your credit score will get over time. This makes consolidating your debt one of the best strategies for those trying to build or repair their credit history! Debt consolidation is one of the best ways to take control of your credit card debt, especially if your credit score could use a bit of a spit shine. Although it’s harder to find loans with favorable terms with poor credit, consolidation can still give you a fighting chance at getting ahead on your payments and repairing your score — which means a brighter financial future and more savings down the line.